Ginetta Cars has been around since 1958 when it was founded by four brothers with the name Walklett in Suffolk. The company began by building kits to turn boring, high-production automobiles into sports and race cars. As time went by, they turned to building complete road-and-race-ready cars. The G15 was launched in 1967 and is based around a Hillman Imp. As time went on, you could buy a G15 as a kit or as a completed car. About 800 were built before Ginetta moved on in 1974. The engine is an 875cc straight-four making 51 horsepower. This car won the 1977 Silverstone Production Sports Car Championship, winning 17 of 19 races that year (among other career triumphs). The G15 was the first Ginetta to really sell in serious volume and it allowed the company to grow. This would be a very fun car to acquire for only $15,000-$20,000. Click here for more info and here for the rest of this sale’s lineup. 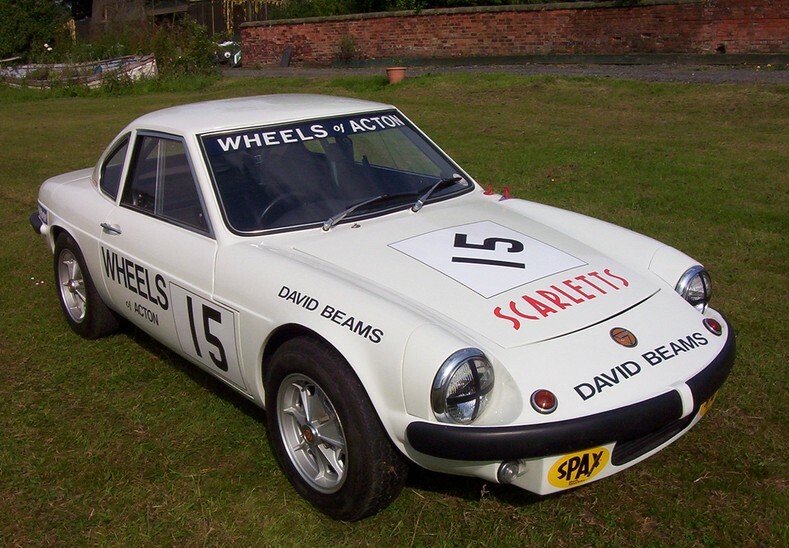 This entry was posted in Uncategorized and tagged 1971, auctions, cars, classic cars, g15, ginetta, race cars, silverstone auctions, sports cars by classiccarweekly. Bookmark the permalink.